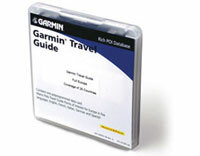 Garmin nüvi 660 (010-00540-10) €0.00 including FREE DELIVERY - buy online at mysatnav.ie Ireland - FREE SHIPPING. The nüvi 660 is a large screen portable GPS navigator and entertainment system, all in one. The nüvi 660 comes with built-in street level maps for Ireland, the UK and Europe, an MP3 player and 260MB of internal memory for storage of additional maps, MP3s and audio books. The Garmin nüvi 660 is preloaded with the latest Mapsource; City Navigator NT street-level maps for Ireland, the UK and Europe. Based on Q2, 2006 Navteq map data, there is street-level detail for every town and village in Ireland and all the recent major road additions and upgrades are available including the M4 Toll Road and M1 upgrade. Includes automatic routing, clear text-to-speech voice prompts (speaks street names e.g. 'Turn left onto Blackthorn road in 50 metres'), 2D and 3D map perspective, a 4.3" diagonal touchscreen, an extensive points of interest database with the ability to add your own POI files. Similar to the popular features of the nüvi 670, the nüvi 660 has Bluetooth® wireless capability which means that the GPS can act as a mobile phone hands-free in your car or hire car. You can also use the nüvi 660 to send and receive SMS text messages. 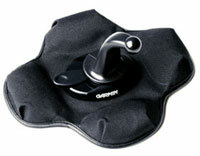 The nüvi 660 has always been one of our best sellers with very positive feedback from existing customers. 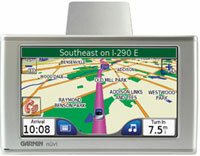 All find the bright widescreen of the nüvi 600 series to be a great addition for viewing and searching maps. 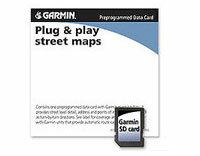 This GPS features detailed mapping of Ireland, the UK and Europe. Two of the best optional extra items that we would recommend with the nüvi 660 is the Language Guide and the full European Travel Guide with detailed information on points of interest throughout Western Europe.